A year ago, my young daughter and I signed up to see an all-Native production of Sacagawea, Bird Woman. Knowing little about her beyond a few basic facts and her image on the dollar coin, we decided to do a simple Body-Centered Inquiry in advance of the play. I placed three pieces of paper on the floor, one to represent Lewis, one to represent Clark, and one to represent Sacagawea. We took turns standing on each of them, and reporting what we noticed. I didn’t notice much when standing with either Lewis or Clark, but when I stood with Sacagawea, I felt a heaviness in my chest. It felt like deep grief. Using this body information, it became the lens through which we began our research: Why would Sacagawea feel grief? In most accounts, her story begins with the first and probably greatest source of her grief: her kidnapping away from her people, the Lemhi Shoshone people, by the rival Hidatsa tribe at the age of 12. As was custom, she was adopted into the tribe, and raised with the Hidatsa. Five years later, after circumstances led to meeting and guiding the Lewis and Clarke Expedition west, their journey led them to her people, where she had an emotional reunion before continuing on with the expedition. 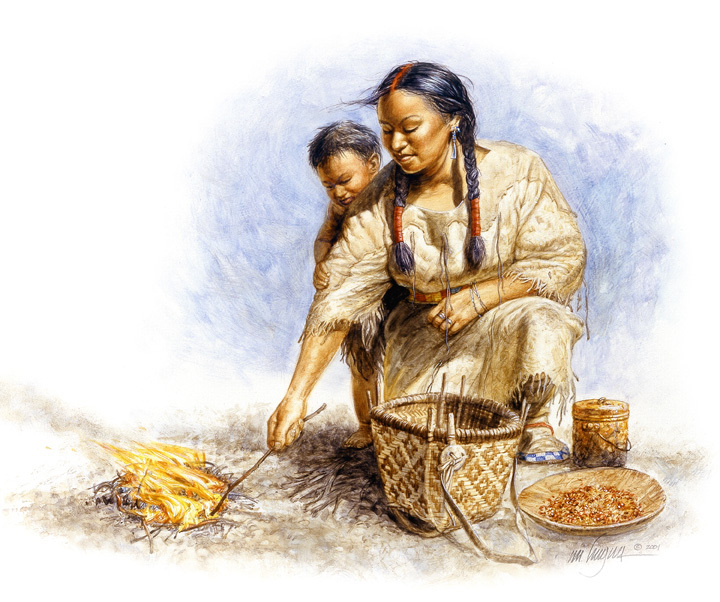 There is much more to learn about Sacagawea and the Lewis and Clark expedition. If you are curious, I invite you to google Sacagawea and read through what is known about her with this inquiry about her grief. You will find a more textured reading of the facts of her life. But putting aside her story for now, I want to focus on the Body-Centered Inquiry process itself. Why Body-Centered Inquiry is a better way to gain knowledge. 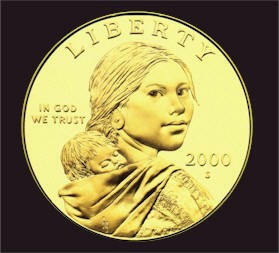 When I stood with Sacagawea, I felt a heaviness in my chest. It felt like deep grief. It’s easy and accessible: Body-Centered Inquiry requires only openness and curiosity. It sparks new insights and a fresh perspective with a practice that is fun and engaging. It reveals motivations, interactions and relationships. This last one is really the treasure of Body-Centered Inquiry. Motivation cannot be determined simply by the actions themselves. Body-Centered Inquiry gives us direct insight into the possible driving forces behind interactions. As a systems thinker, this knowledge is our Holy Grail. One cannot think in systems without having an understanding of how one part of a system is affecting another part. Typically, we use higher order analysis to elucidate these relationships, but with Body-Centered Inquiry, we can generate much of this information through direct experience. I will discuss this further in future examples, but I hope I am starting to convey just how valuable this process is. SO, how does one engage Body-Centered Inquiry? Body-Centered Inquiry is akin to brainstorming, but one in which your brain gets to relax while your bodymind comes online. In our case, it was a simple question: what should I know about the relationship between Sacagawea, Lewis and Clark? Having a clear question helps you identify the parts of the system you will set-up. Lewis, Clark and Sacagawea – represented as pieces of paper in a system. 2. Constellate (set-up) the system. Since we were working with just three figures, I used three pieces of paper placed in a triangle on the floor to represent each person. Sometimes, the system is more complicated, and the spatial location of where you place the parts of the system forms a constellation that provides additional information. 3. Step into your inquiry. 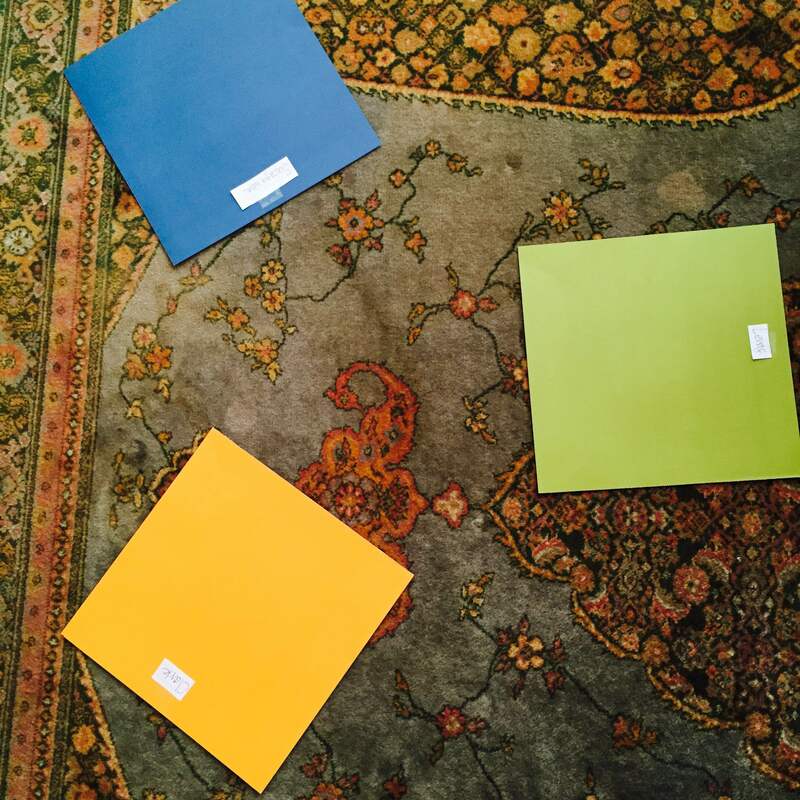 Step onto the paper and…notice what you notice! My instruction is usually, “trusting your body, what do you notice?” Remember, this is body-centered inquiry, so we are paying attention to the body’s felt sense. This is often experienced as a combination of physical-emotional sensations. Some people also get movement, images, sounds or words. If you are working with others, take notes about your experience to share later with the group. A note about this step: it is both the easiest and the hardest part of the process. It’s easy because our bodies are designed to sense information. To the body, this is its normal, moment-to-moment activity. The challenge in this process comes from our brains. They have been taught that they are the source and the command control of all information. The more you practice, the more your brain will learn trust your bodymind. SO: reassure your brain that you have not lost your mind and then – play! 4. Follow up on the information you receive. When we engage in Body-Centered Inquiry, we have a specific purpose in mind. In our case, my daughter and I wanted to learn more about Sacagawea, so we used our insight to guide our internet research. Others may have more of a problem-solving inquiry – a scientific hypothesis they’re working on, for example, or a conflict they’re trying to resolve. In each of these cases, after we harvest our insights, we are asking: how can I apply this information to address my question? Usually this means additional research, an experiment, interviews or other ways to follow up with the information you received. Another way to follow up is to move from inquiry into the creative process. Use the information you receive as the seed for drawing or poetry or dance or music. I would argue that Body-Centered Inquiry is an aspect of the creative process, so it very naturally lends itself to the arts. Start simple. Approach the process with curiosity. Trust what arises. OK: That’s enough to get you started. I hope you will experiment with the Body-Centered Inquiry process. And if you do, share your insights or questions in the comments below. Are you a New York City educator? Previous PostThe promise – and problem – of systems thinking. Next PostKnowledge is power – and I’m not sharing it!